Giving is a part of our worship. We believe giving cheerfully and sacrificially is an act of worship that blesses the giver as much as the receiver (2 Corinthians 9:6-7). Among many reasons the scriptures give us for why we should give, one that should move your heart most directly is because it makes us more like Christ. Giving is absolutely essential to following Christ. It increases our character, conforming us to Christ’s image as an unselfish giver. It works as our greatest weapon against the idolatry of money and its illusion of power in our lives. 48 people completed Level 2-4 Discipleship Class. Began hosting monthly youth activity nights. Children & Youth increased in the department by 300%. 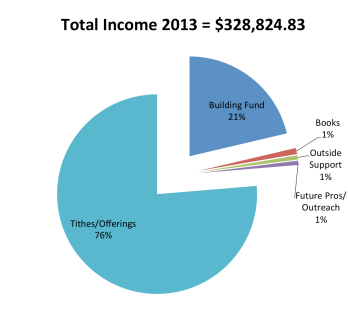 Gave over $25,000 as a tithe to our partner organization. Increased annual revenue by 65% from previous year. 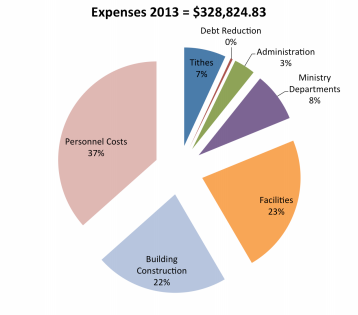 * Rohi Christian Church operates and manages its finances on a fiscal year (FY) that runs from September 1st to August 31. Remember, in order to receive the appropriate documentation you need for tax purposes your name and address must be clearly identifiable on your check.